Anthony Joshua’s victory over Wladimir Klitschko may have catapulted him to heavyweight stardom, but the British boxer still takes inspiration from the greatest names ever to take to the ring. 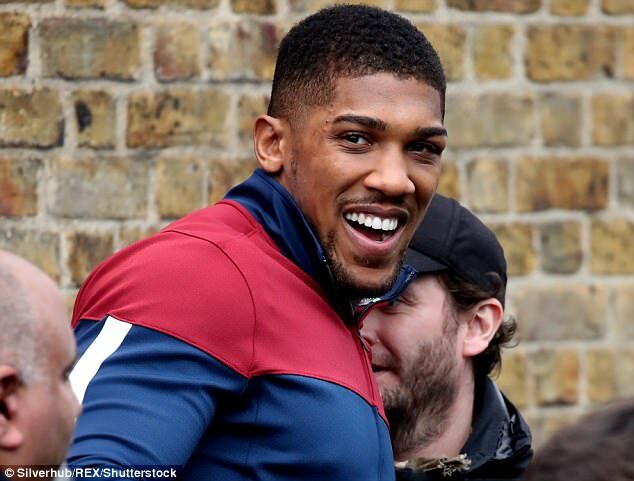 Joshua’s 11th-round knockout of the Ukrainian has ensured he is one of the most recognisable sporting names on the planet, but he still has some way to go to reach the stature of the late Muhammad Ali. 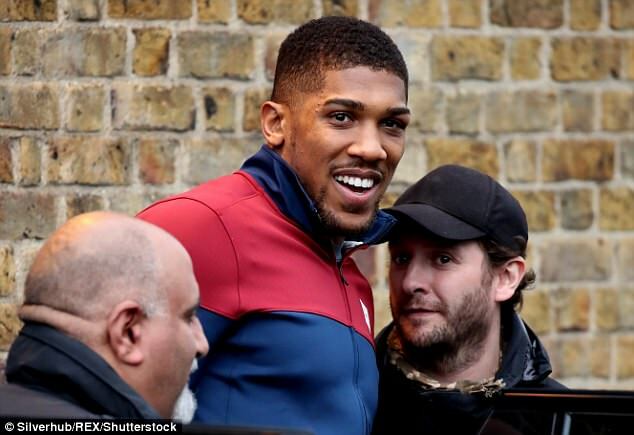 The Brit has paid homage to the boxing icon by purchasing a signed glove, with the framed piece of memorabilia coming complete with a built-in television screen which will allow Joshua to watch back some of Ali’s classic moments. 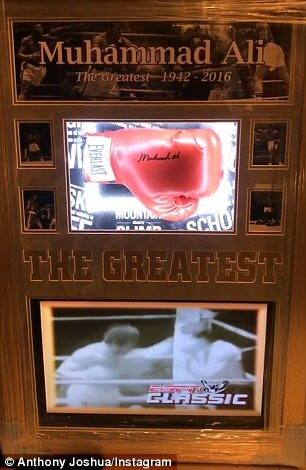 The frame is topped with the words ‘Muhammad Ali, The Greatest – 1942-2016’ and also includes images of some of the legendary fighter’s most memorable moments in the sport. 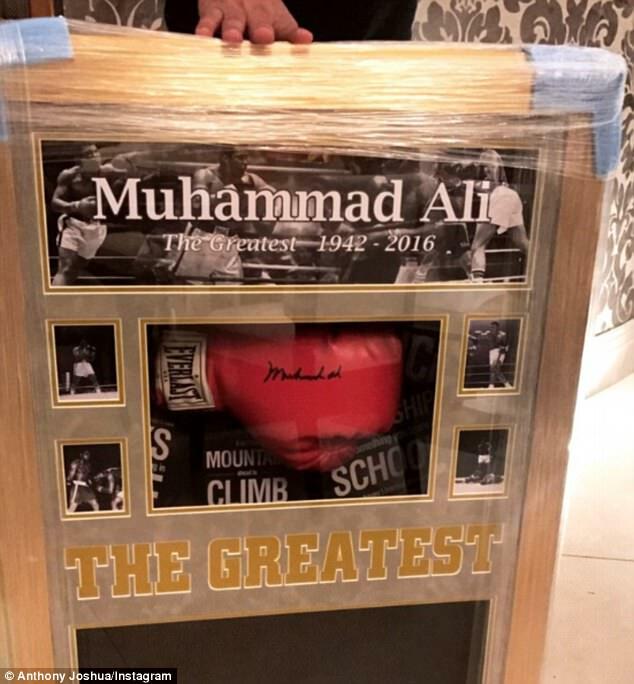 Joshua revealed his purchase on his Instagram story, where he also showed off a video of the frame ‘in action’ as the glove was lit up from the back and included video highlights of Ali in action as well as interviews. While the victory over Klitschko has seen Joshua compared to some of the greatest names in boxing, the man himself does not believe he will ever be remembered on the same level as Ali. ‘Can I ever see a time that it will be Ali, Foreman, Holmes, Joshua? 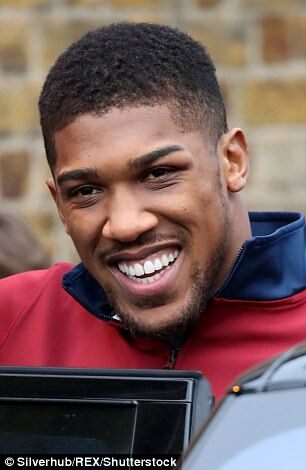 Nah,’ said Joshua. ‘There are too many opinions now. They didn’t give Klitschko the respect he deserves, you know what I mean. I just try and keep some distance from it and stay in my own lane. As part of his Instagram story, Joshua also showed off his wide selection of caps as well as him working in the gym.